← This much I know about…a brief distraction from OFSTED, marking and 3 levels of progress! I have been a teacher for 25 years, a Headteacher for 10 years and, at the age of 49, this much I know about what happens when you can’t Think Correctly Under Pressure. I recently wrote a post about Sir Clive Woodward and how he drills his teams to Think Correctly Under Pressure. What follows is a classic example of a team which failed to T-CUP just when it really mattered. Last Tuesday night Liverpool played Crystal Palace and the match ended in a 3-3 draw. Liverpool began the evening joint top of the Premier League with Manchester City, with both teams having just two games left to play, but with City having a far superior goal difference. The priority for Liverpool in the Crystal Palace match was to win the game and, by so doing, set Manchester City the challenge of winning their next match against Aston Villa the following evening. All Liverpool could do was win their final fixtures and see if City slipped up; there was never a chance of wiping out the City’s huge goal difference advantage. Daniel Taylor said in the Guardian that, Realistically, it was always futile to think they could claw back the goal difference that had established Manchester City as favourites for the league. After 78 minutes Liverpool were leading 3-0. They were attacking non-stop in some deluded blur, as though they were going to score something like six more goals to cancel out Manchester City’s superior goal difference. First Glen Johnson, Liverpool’s full-back, ran into the net after Sturridge’s second goal to grab the ball and sprint back to the centre spot to get the game going again in pursuit of more goals. 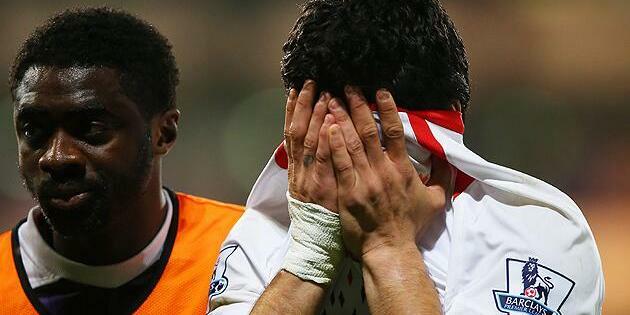 Suarez did the same thing after his goal which made it 3-0 to Liverpool. By 78 minutes players like Johnson had run themselves to a stand-still in the pursuit of more goals when the only thing that really mattered was securing the win. Experienced players like Gerard, Suarez and Johnson should have been beacons of calm and ensured that their team collected three points from a seemingly unassailable position. Moreover, Brendan Rodgers should have given clear instructions to slow the game down and secure the win. Rodgers displayed his inexperience and revealed in one utterly clear moment how he has yet to learn how to Think Correctly Under Pressure. He should give Sir Clive Woodward a ring.